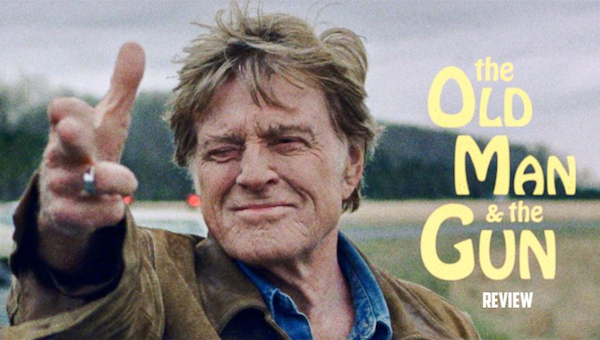 David Lowery is shooting four for four, and his latest film, The Old Man & the Gun, gives cinema icon Robert Redford a solid high note to sail on as he (allegedly) bids farewell to his acting career. The result is a gracefully light, devilishly charming breeze of a film that is, much like Redford himself, incredibly hard to resist. Based on the “mostly true” story, the film follows Forrest Tucker (Robert Redford) from his audacious escape from San Quentin at the age of 70 to an unprecedented string of heists that confounded authorities and enchanted the public. Wrapped up in the pursuit are detective John Hunt (Casey Affleck), who becomes captivated with Forrest's commitment to his craft, and a woman (Sissy Spacek), who loves him in spite of his chosen profession. Part of the genius of The Old Man & the Gun is how it’s not really about the true-life bank robber Forrest Tucker at all. No, it’s really a shrewd celebration of Redford’s nearly 60-year career, and it embraces all the aspects that made him into the iconic leading man audiences know and adore. After all, Redford made a living playing charming outlaws, and Old Man’s Forrest Tucker is the epitome of that. So, with that in mind, the film also functions as a testament to Redford’s overabundant charisma — and he’s still got it after all those decades too. Another aspect to the film’s genius is how Lowery cleverly intertwines nods and homages to several of Redford’s earlier works into the film that feel natural and enhance the layers of enchantment that Redford’s aura exudes. For instance, take the film’s opening title card, “This story, also, is mostly true,” as an example; it’s a witty riff on Butch Cassidy and The Sundance Kid’s opening pronouncement that “Most of what follows is true,” and it’s how Lowery sets the tone right from the word go. Lowery also smartly embeds a clip from Redford’s earlier work The Chase into a third-act prison break montage that impressively allows the viewer to see the breadth of Robert Redford as an icon, while simultaneously achieving a level of credibility that other studios use CGI to try to attain. He does this again in a scene involving a police file of mug shots (one is a photoshopped image from The Sting), which fill the screen in quick succession and show Redford’s age wear over time in a matter of seconds, reminding us that his luscious blond hair and piercing blue eyes persevere despite the many wrinkles that may’ve sprouted. 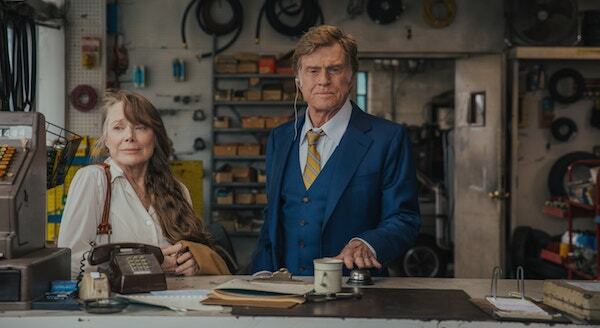 And while the film is very much “the Robert Redford show,” he meets his match in both Sissy Spacek’s Jewel and Casey Affleck’s detective Hunt. In the case of Affleck, his character serves as the perfect counterpoint to Redford’s Tucker. Detective Hunt is not so young and getting older and fairly bored or unhappy in the tedium of police work; whereas, Tucker is a smirking gentleman who finds joy in his life of crime. And ironically, it’s not until Hunt discovers a connection between the string of bank robberies that his smile begins to turn upside down and his life begins to teem with newfound purpose. The cat and mouse play between these two characters is a joy to behold, and their storylines intersect neatly and in sometimes very humorous ways (the diner bathroom scene may be the next greatest thing to MANDY’s Cheddar Goblin). With Spacek’s Jewel, Tucker finds an advisory of a different sort — a romantic one — and any scene between the two is delightful. The two share authentic chemistry, and they fill the film with absolute sweetness. We see them flirt and fall in love in real time, and it’s hard not to swoon over their whole romance. Scene after scene, they gradually bond and share stories, and truth be told, I could listen to the two of them talk for hours on end and still never reach my fill. The film is also elevated by some superb supporting performances from the likes of Tom Waits (who shares a very humorous Christmas story), Danny Glover, Elizabeth Moss, Tika Sumpter, and a barely visible but very audible John David Washington. The film also moves to a nice beat with a hip country/folk curated soundtrack, offset by the smooth jazz rhythms of composer Daniel Hart’s original score that at times conjures up an uncanny parallel to that of Peanuts’ composer Vince Guaraldi. Tight editing from Lisa Zeno Churgin and smooth camerawork make for some sleek and energetic montages, with Lowery knowing precisely when to speed up a moment or let a scene breathe. Cinematographer Joe Anderson also gives the film a nice period sheen, complete with washed out blues and film grain, that perfect the whole experience. The end result is a dazzling bit of cinema magic topped with moments of absolute joy and sweetness. It truly is the geriatric heist film you never knew you wanted, but won’t be able to get enough of. Effortlessly suave and hip, The Old Man & the Gun transports the viewer to another era of film and proves that modern filmmakers sometimes can make them like they used to. Rating: 4.5 prison escapes outta 5. What do you think? Was this a fine farewell for Redford? We want to know. Share your thoughts and feelings in the comments section below, and as always, remember to viddy well!